Carbon isn’t just for racers. The new Occam AM M30, built around our monstrously light OMR frame, may melt the hearts of even the most ardent fans of ferrous over fiber. Stiff, light, and with modern trailbike geometry, the M30 is the one-bike quiver. 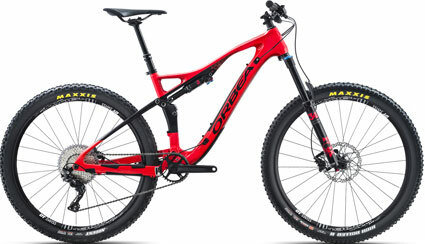 Only a few hundred grams heavier than our XC razor Oiz, Occam’s weight will turn heads. Mated to a Shimano drivetrain, Fox suspension, and DT Swiss wheels, it’s the perfect companion for finding fun in every ride you do. Occam uses complex technology to bring you a simple experience. You won’t find a dozen bearings or complex linkages driving a strange proprietary shock. Rather, a startlingly light, remarkably stiff and cleverly-engineered piece of technology designed to last a lifetime. The Occam AM M30 is the first and last bike you might ever need.